iOS 11 was unveiled at Apple’s World Wide Developers Conference earlier this month. With the next version of iOS out in the hands of developers, I was able to get my hands on it early before it is released to the public. These are my impressions. The device I am using, is a 64GB iPhone SE which features Apple’s A9 cpu, and 2 GB of ram, which is only 1 generation behind the A10 Fusion Quad Core cpu in the iPhone 7. Slide to unlock returns in a rather unusual way. This seemingly is made to be universally useful across all screen sizes. In the past, slide to unlock across the screen became less and less practical as phones got taller and wider. Now, instead of sliding across your phone’s screen, you swipe up from the bottom edge, and it immediately takes you to the home screen. Your notification screen is now your lock screen. You can up on your lock screen to access older notifications. Again this seems to be a consideration made for taller devices. 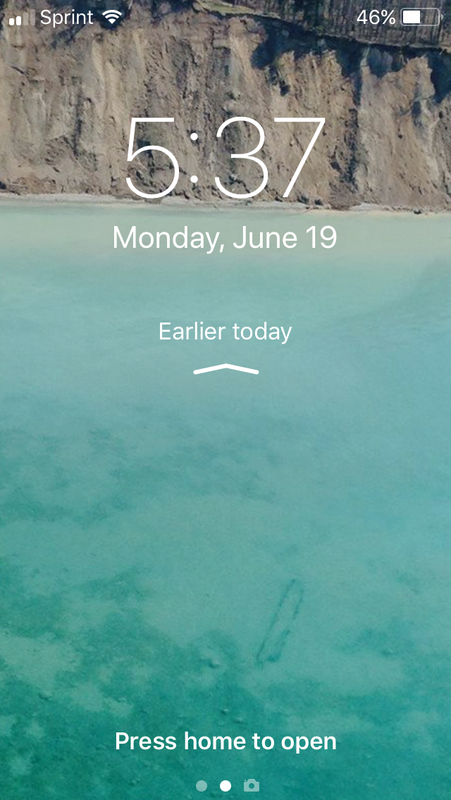 Instead of pulling down from the top of a rather tall device(think iPhone 7 plus), you now swipe up in the middle of your lock screen with much more ease. Control Center on iOS 11 can be customized to your preferences, and is all on a single page. With iOS 11, the control center has returned to a single page. No more swiping right for the music player! Everything is confined to a single page. 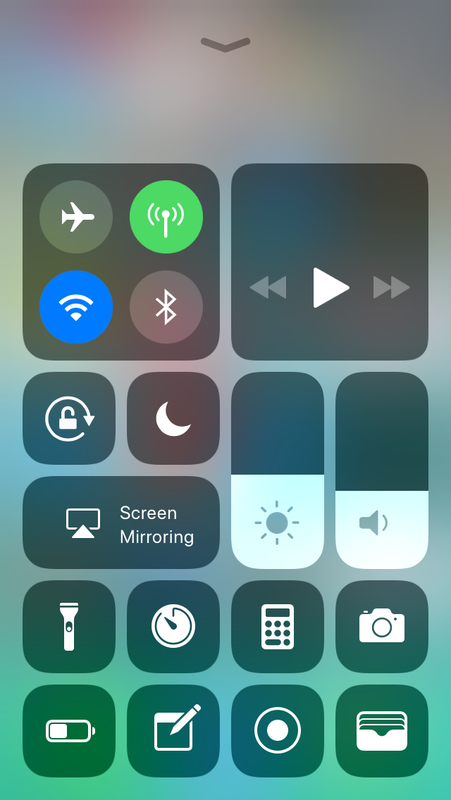 Most of these options can be expanded by a long press, or 3D touch to get more granular controls over screen brightness, the flashlight, setting timers, or using the all new screen recording tool. Not only that, you can add more toggles to the control center to add the features you need. Siri is now much more responsive and features a new interface. The voice for Siri sounds much more natural, and features now has windows within the interface that can be interacted with much easier. Siri is also from my experience, much better at determining the context of your questions. While this does not bring it up to the level of Amazon Alexa, or Google Now(I personally don’t find the Assistant any more useful than Google Now) it is a step in the right direction to keep it in contention with other digital assistants. Finally, Apple has gone ahead and gotten rid of feature parity with iPads and iPhones. 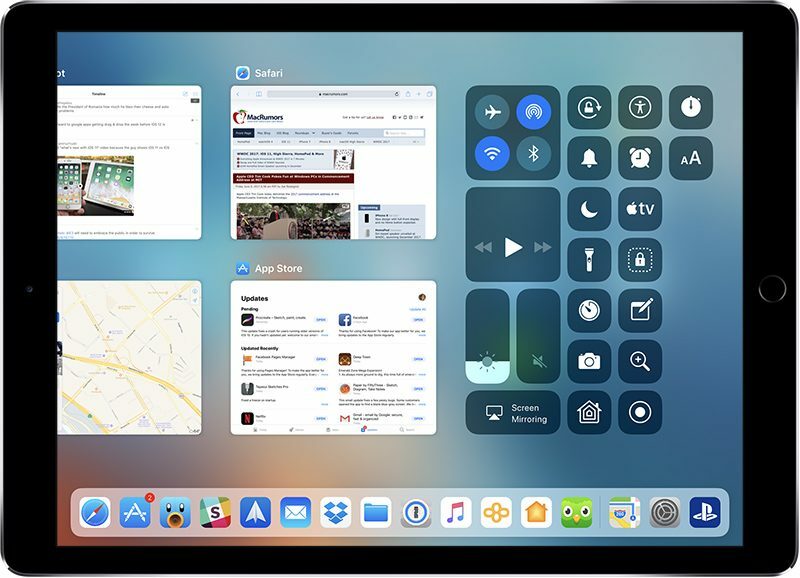 This time around the iPad gets a lot of multitasking features carried over from Mac OS, including better split screen app viewing, multiple desktops and a removal of the limitation of only 6 apps in the dock. This turns iOS into even more of a desktop environment on the biggest screens that will benefit the most from it, and will help the iPad become an even more compelling alternative to a traditional laptop or PC for light or casual users. Only 64 Bit devices supported. Apple has a way of hinting at future hardware designs in their new software, which is typically unveiled 3-6 months before their next flagship. An example of this would be Apple using the swipe right and left gestures throughout iOS. Shortly after this was implemented, iPhone 6 was introduced with a smooth curved glass front. Switching to an exclusive 64 Bit architecture means that future versions of the iPhone will have more sophisticated hardware. However the lack of devices with 32 Bit systems means that the iPhone 5 and iPhone 5C will no longer receive software updates. Something else you should take from this, is that the iPhone 5S will probably struggle running anything newer than iOS 11. Something to be on the lookout for as the public beta is released, and when the final rollout occurs this fall. iOS 11 uses a new photo and video format. Ever run out of space on your phone? The culprit is usually photos and videos. With iOS 11, Apple implemented a new format for your photos that retain full quality, but take up only half the space. This will be great for people still using a 16GB iPhone, allowing them to get more out of the low storage capacity of their iPhone. For additional information regarding iOS 11, you can watch this video by EverythingApplePro, or by going to Apple’s iOS 11 website.